Contains 27 collection items, 44 performances, 71 in total. Currently showing 71 in total. 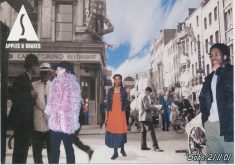 Minidisc recording of first half of Apples & Snakes in Soho/Shot From The Lip launch, featuring John Hegley, Fran Landesman, Abraham Gibson, Patience Agbabi. 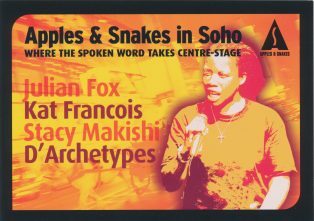 Minidisc recording of Apples and Snakes in Soho show (Apr 07), featuring Kat Francois, Stacy Makishi, Julian Fox, D’Archetypes. Minidisc recording of first half of Apples and Snakes in Soho show (May 07), featuring Ross Sutherland, Cynthia Hamilton. Minidisc recording of second half of Apples and Snakes in Soho show (May 07), featuring Julian Daniel, Rosie Lugosi. With an emphasis on the comedic. Yvo hosting. 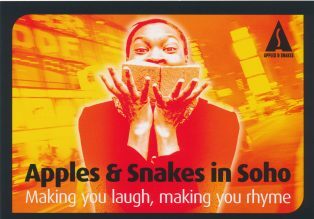 Minidisc recording of the first half of Apples and Snakes in Soho show (Oct ’07) at Soho Theatre, featuring Justin ‘Rhyme’ Coe, Salena ‘Saliva’ Godden, Thick Richard. 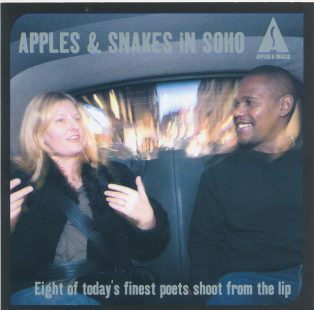 Minidisc recording of the first half of Apples and Snakes in Soho show (Oct ’07) at Soho Theatre, featuring Justin ‘Rhyme’ Coe, John Agard, Rhian Edwards. 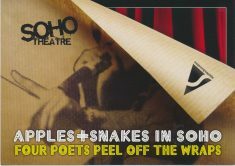 Minidisc recording of first half of Apples and Snakes in Soho show (Nov ’07) at Soho Theatre, featuring Emma McGordon and Tuup. 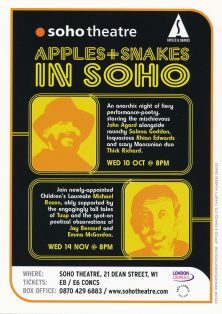 Minidisc recording of first half of Apples and Snakes in Soho show (Nov ’07) at Soho Theatre, featuring Michael Rosen and Jay Bernard. Minidisc recording of first half of Apples and Snakes in Soho show (Feb ’08) at Soho Theatre, featuring Fran Landesman and Riz Ahmed.